There is a climb at Mt Arapiles called Tannin. Found in the center of the area called the Organ pipes, it can be seen clearly from the campsite below and as such always draws a crowd to watch the drama unfold as someone summons the courage to climb it. For me it stood as the ultimate climb here, an intimidating and powerful climb that commanded both fear and respect. On my first trip down here, 6 weeks after taking up climbing, I found myself staring over at this climb and wondered how anyone could possibly climb it. I remember daring to dream that if I could one day climb it's terrifying terrain, I would have reached my penultimate climbing goal, my golden ring. 5 years and many trips down here have past and every trip I have still stared at Tannin and wished I was good enough to climb it. Yesterday I took a very deep breath and stepped onto this hallowed piece of rock. 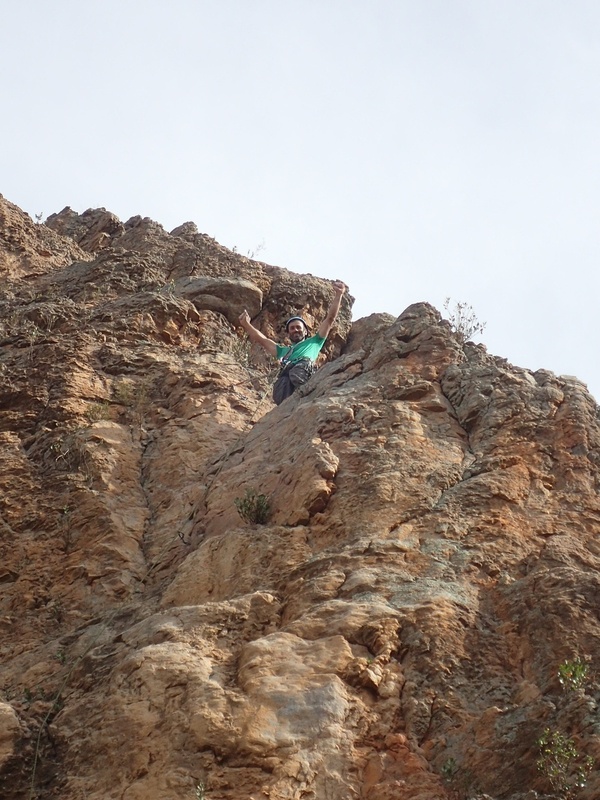 I will not say it was easy and it was probably the toughest fight I have ever gone through but I managed to climb this massive line first try and clean, which in climbing terms means without stopping to rest or falling, the greatest achievement for a climber. Physically and emotionally, the climb did not ease or yield it's gift until the very end. I fought for every hold and inch I gained. I almost gave up half way through, I struggled with fatigue and self doubt for the rest of it. 20 minutes later I had reached the top and it was done. I was so emotional that tears started to well up. I never thought I would ever be good enough as a climber to even attempt to climb this beast and there I was, sitting at the top, successful. I was over come with emotions and needed to sit there for quite some time to gather myself and try to put into perspective what I had just achieved. Success and personal growth can happen slowly, often you don't realize you are succeeding at all. It often takes a major and sudden shift to realize how far you have come from your beginnings. Relish and celebrate your achievements no matter how small they are because one day you'll suddenly find that you have been well within reach of your goal for longer than you probably realized. And what does one do when they reach their goal? They sit down, raise the bar and set a whole new set of goals!